Wolverine specializes in high quality custom steel work, truck, and trailer repair. We are a certified Vehicle Safety Inspection Station for trucks and trailers and offers a wide range of truck and trailer repairs. Some of the most common being flat deck extensions, add beaver tails and ramps, change axles, slide axles and lift axles. Whether the job is in the shop or on-site, no job is out of reach for Wolverine. Over the past 15 years we have designed and created many different projects. For the tire recycling industry we built hydraulic presses, mixers, moulds for manufacturing of rubber products and tire shredding equipment. In 1999 we became the licensed manufacturer for our automated tire debeading systems for passenger car tires and truck tires. Wolverine also has designed a line of converter dollies. If you are in need of any custom welding, machining, fabrication or over the counter steel sales. 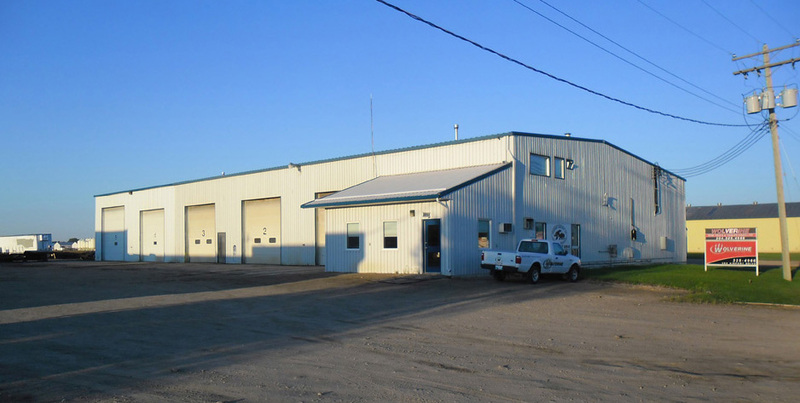 Look no further than Wolverine Industries in Winkler, Manitoba. Thank-you for taking the time to visit our site. We look forward to helping you in the future.